Why Does My Dog Have Diarrhea and What Causes it? Has your dog had loose stools lately? Are new dog treats causing loose stools or is it something more? Ever wonder what causes your dog to have diarrhea? 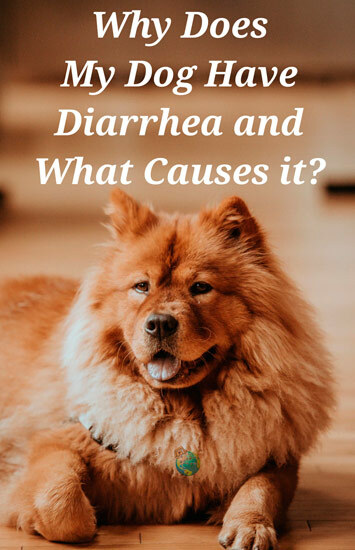 This article is going to discuss and explain diarrhea, the difference between “normal” poop and diarrhea, what’s causing your dog to have diarrhea, and how to prevent diarrhea for your dog. Diarrhea is defined as loose, unformed stools occurring three or more times throughout one day. If your dog even has just one episode of loose stools then technically it is not considered diarrhea. Instead it is considered a loose bowel movement. But, whether or not your dog has diarrhea or just one loose bowel movement, it is proof that your dog’s digestive system may be unhappy. Similar to humans, there are several reasons why your dog may be having digestive upset. Diarrhea is easily identifiable. Formed stools should not have any mucus, blood, liquid, or undigested food. Although, undigested food may be seen if your dog ate something that is not easy to digest, such as corn or rubbish. Diarrhea has a liquid-like texture and it may vary in color from a bright yellow to black. Reds, grays, greens, and beige colors may also be seen. Each color can tell you a lot about what’s going in your dog’s digestive system. The two main causes of loose stools are parasites in the intestines and a dietary allergy or response. Heart medication, de-wormers, antibiotics, pain medications and over-excitement/stimulation may also cause diarrhea. If your dog has to take medication and you think it may be the cause of your dog’s diarrhea, contact your veterinarian to see if you can change the prescription. If your dog must continue taking the medication that you think may be causing the diarrhea then you can try giving your dog a bland diet of white rice and lean ground beef to ease digestive upset. Dogs can also become infected with Giardia, which is not a worm but a parasitic species that causes intestinal infection. Some dogs may not even have symptoms, such as diarrhea, while being infected with Giardia. If you suspect an illness and your dog is not having any obvious symptoms, take note of normal daily activity and eating habits. The feeding form of Giardia remains in the infected dog’s intestines while the cystic form of Giardia is passed through the dog’s feces. This cystic form can infect any dog that ingests, licks, or sniffs the feces. The parasite may also be transferred through infected water. Homes with infected dogs should be sanitized regularly and properly. Here are a few important steps to take. 1. Infected dogs should be secluded from other pets, especially cats and dogs since they are easily susceptible to getting parasites. 2. Always wear gloves, use a scooping device and a clean waste bag when cleaning up your dog’s feces from the yard or sidewalk. 3. If your dog has loose stools inside your home immediately clean the feces and sanitize the area with a proper disinfectant cleaning solution. 4. Dispose of the feces so no other humans or animals can come in contact with the parasites and infection. 5. Change your dog’s water regularly so the water cannot become contaminated. 6. Wash your hands! Parasite larvae (eggs) are sticky so they can stick on clothing, hands, and shoes after stepping in the dirt where your dog relieved him/herself. Immediately visit your veterinarian if you think your dog may have a parasite or infection. A de-wormer or antibiotic may be prescribed and then regular heartworm medicine may be suggested. The color, texture, frequency, and odor of your dog’s diarrhea all say a lot about what’s going on. Red and black feces can indicate bleeding in the lower and upper GI tract respectively. Watery, yellow, gray or green feces may indicate digestion happening too quickly. If the feces have a distinct smell of a certain food then this may also indicate quick digestion. Beige shades may indicate a lack of bile. Bile is produced by the liver and stored in the gallbladder. It aids in digestion by helping break down fats into fatty acids. Foamy stools may indicate a bacterial infection while shiny or oily stools may indicate mal-absorption.